This work is amazing! 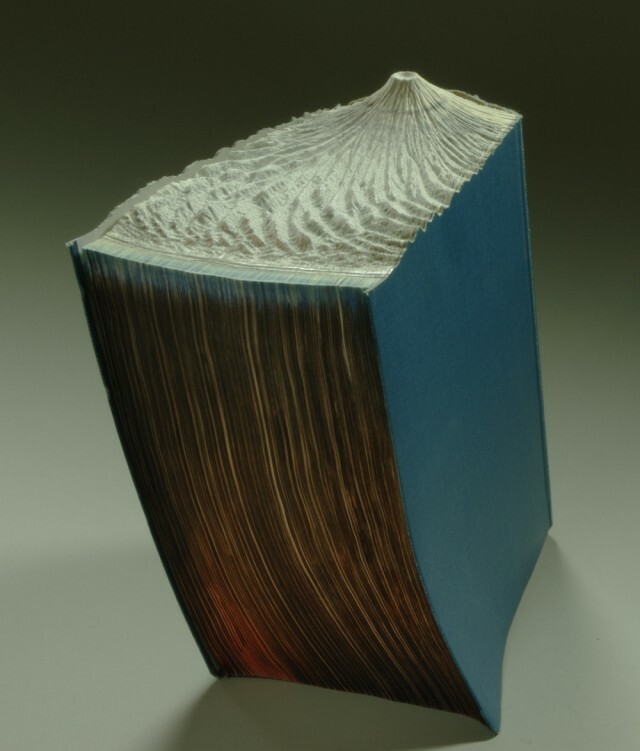 Check out the carved books by Guy Laramee. This first two are part of a collection called Guan Lin and was created in response to the devastation of the Japanese Earthquake and tsunami. Laramee’s personal website is here. Great Wave. 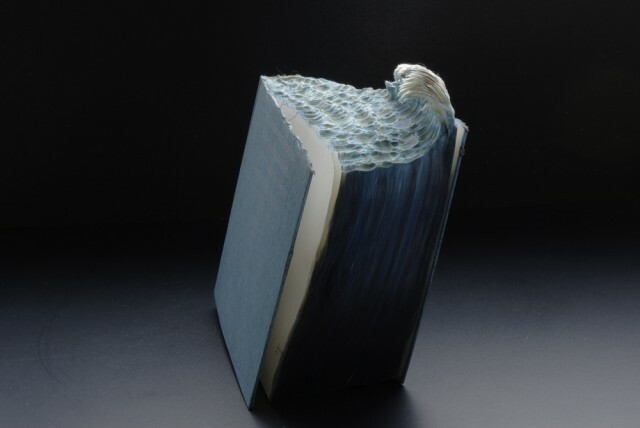 Altered book, inks. 2012. 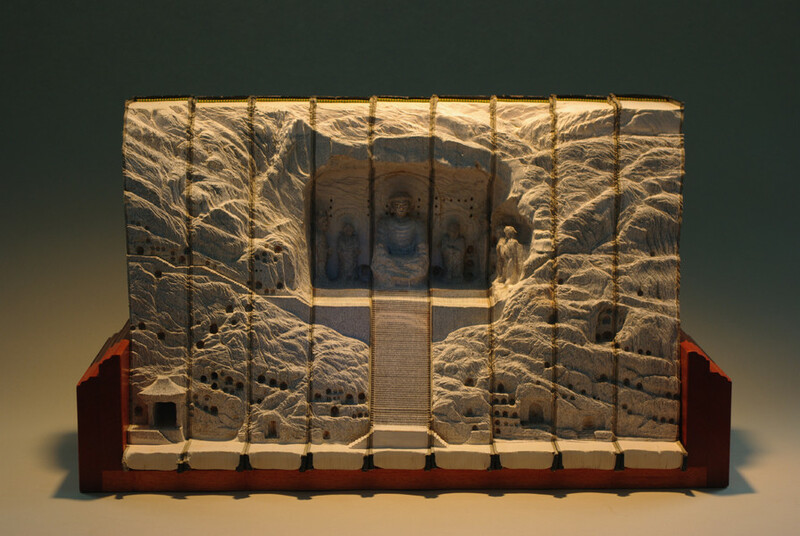 19 x 15 x 23 cm (7.5 x 6 x 9 inches). In Advance of a Broken Land (Tsunami). Altered book, inks. 2012. 15 x 16 x 22 cm (9 x 6.5 x 8.5 inches). This last one is one of my personal favorites. The level of detail achieved here is incredible. This one is from the collection called, The Great Wall.